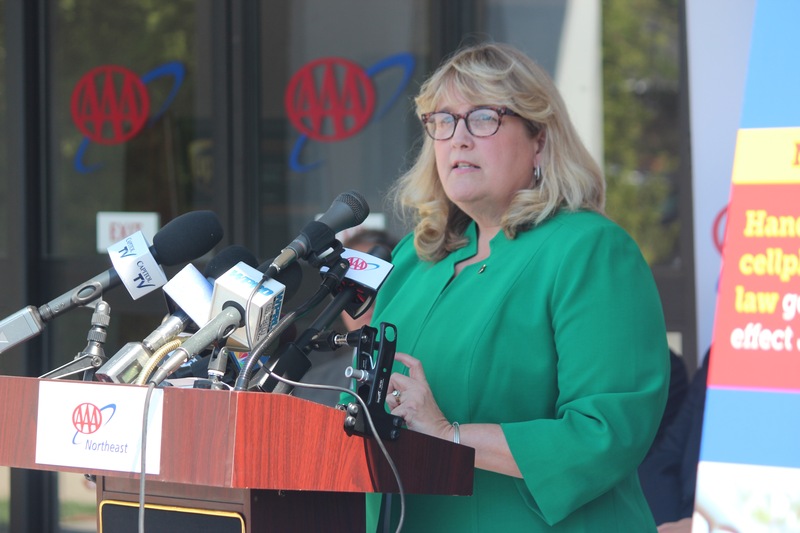 AAA Northeast leaders joined elected officials, legislators, traffic safety advocates and police officers at the club's Providence, R.I., headquarters to highlight Rhode Island's new ban on drivers using hand-held cellphones. 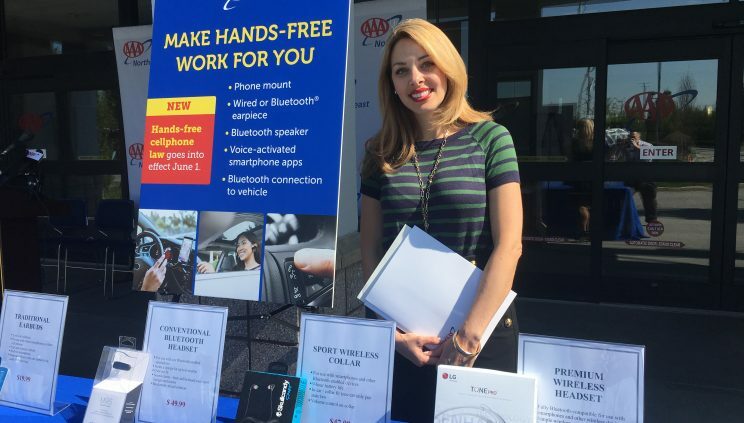 AAA Northeast employees like Diana Imondi, manager of traffic safety programs, are educating the public on different ways to comply with a new statewide ban on hand-held electronic devices. 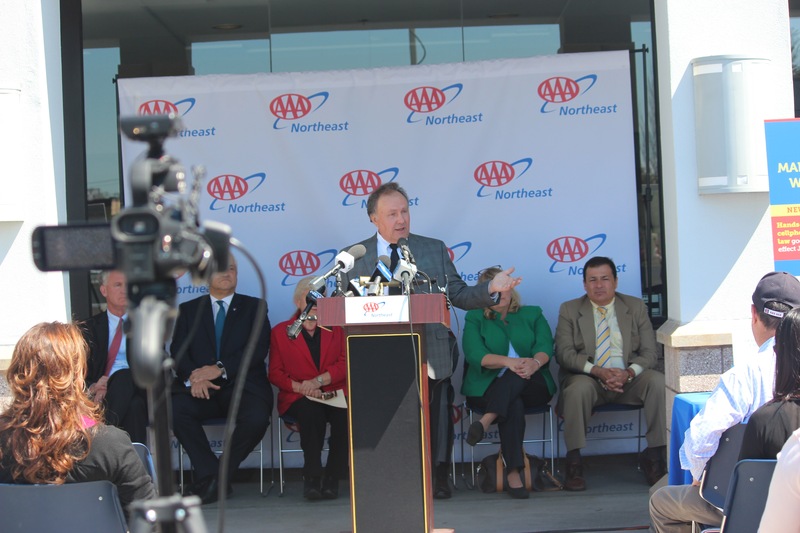 AAA Northeast leaders joined state officials, legislators, traffic safety advocates and police officers at the club’s Providence, R.I., headquarters this morning to highlight Rhode Island’s new ban on drivers using hand-held wireless communication devices. Drivers who violate the law, which takes effect June 1, face fines of up to $100. AAA Northeast employees demonstrated a variety of ways for drivers to go hands-free. Diana Imondi demonstrates one of several ways to use hands-free technology. John Galvin, AAA Northeast president & CEO, welcomed attendees to the conference. He noted there were more than 3,000 deaths stemming from distracted driving in 2016. Common sense, statistics and research all support the fact you shouldn’t have a cellphone in your hand, he said. He thanked the legislature for passing the bill, the governor for signing it and those in attendance for supporting it. “This legislation will absolutely make all of us safer,” Galvin said. Peter Alviti, director of the Rhode Island Department of Transportation, thanked AAA for the organization’s longtime partnership. He also thanked legislative partners, including those who sponsored the hands-free law, and national partners like the National Highway Traffic Safety Administration. “It’s very important to our plans at DOT to bring safety to the roadways,” he said. The hands-free law is the latest step to improve traffic safety in Rhode Island, Alviti said. The law complements a 2011 ban on texting while driving, and a primary seat belt law that helped the state achieve 86 percent seat belt usage. Additionally, the state recently enacted a law mandating children ride in rear-facing car seats until age 2, significantly limiting children’s risks of severe injuries. Col. Ann Assumpico, of the Rhode Island State Police, said the state has a problem. “Smartphones are killing Rhode Islanders,” she said. “All it takes is one second of distraction to answer the phone or glance at a text to lose control and crash,” she added. She also noted the hands-free law helps protect cyclists and pedestrians. “It’s one more tool to fight death by distraction,” Assumpico said. Everyone needs to do their part, she continued, by putting down their phones and driving safely and responsibly and encouraging friends and family to do the same. She also urged motorists to call 911 if they see dangerous behavior. Rep. Kathleen Fogarty was a co-sponsor of the state’s new hands-free law. State Sen. V. Susan Sosnowski, one of the law’s sponsors, introduced the bill following adoption of a similar measure in Connecticut about 10 years ago. 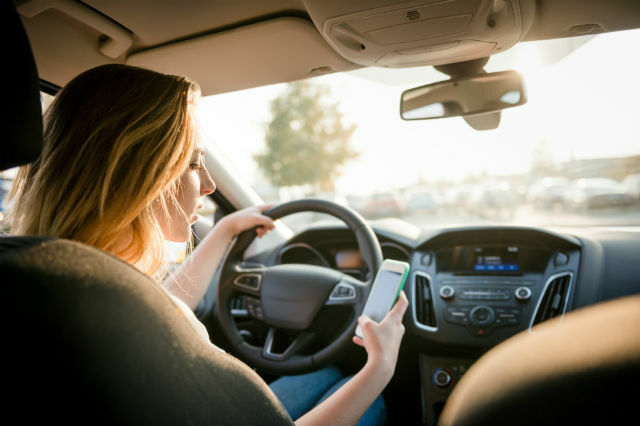 She referenced several statistics highlighting the dangers of distracted driving, adding that it’s hard to go anywhere without seeing drivers looking down. Fines can be waived for first-time offenders who prove they’ve purchased hands-free devices. State Rep. Kathleen Fogarty, another sponsor, thanked AAA and state officials for their support adopting the regulation. She described distracted driving as a public health crisis, but one that can be fixed. “We’re not going to know who, but lives are going to be saved,” she said. House Majority Leader K. Joseph Shekarchi thanked AAA for its support of the hands-free law, and for helping earlier this summer when the Rhode Island Division of Motor Vehicles launched a new computer system. The club served non-members during the transition. “That says something about the organization,” he said. Shekarchi added that the bill is worth it even if it saves just one life. 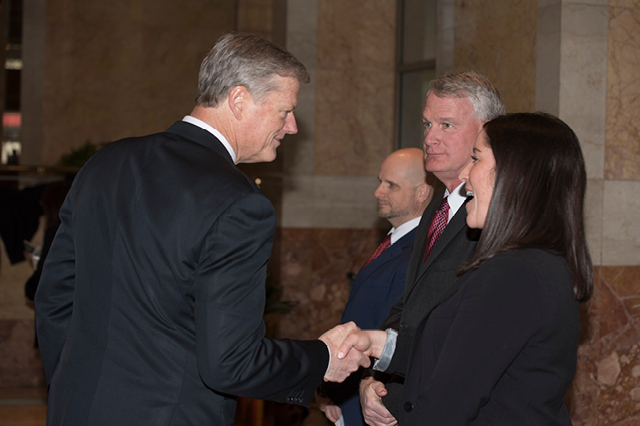 Lloyd Albert, senior vice president of public affairs for AAA Northeast, said there are many ways for drivers to abide by the state’s new hands-free law. Lloyd Albert, senior vice president of public affairs for AAA Northeast, said motorists can purchase devices to go hands-free for as little as $20. AAA employees demonstrated such devices for media outlets in attendance. 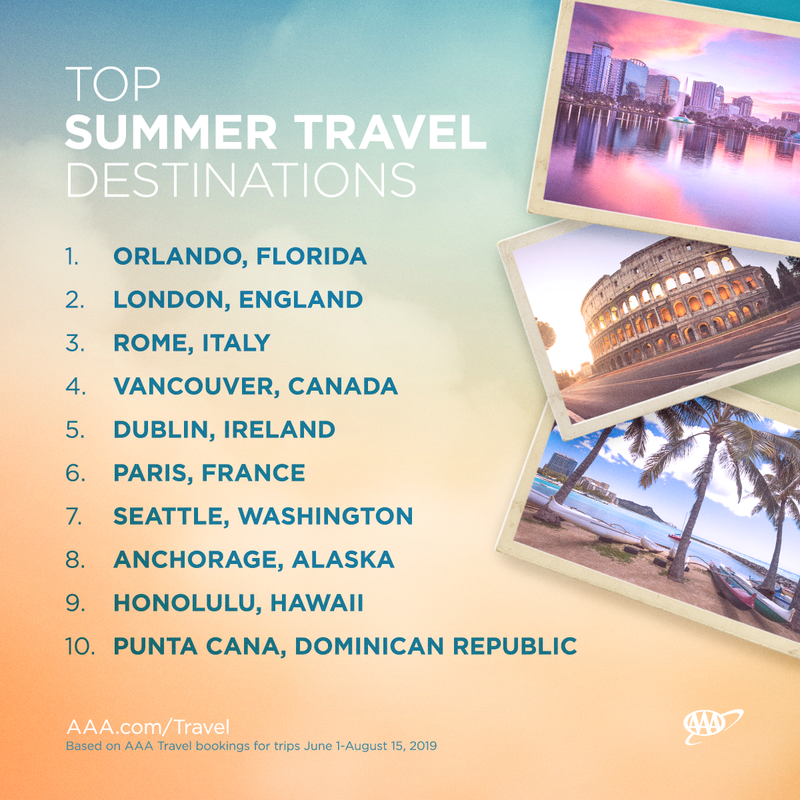 Article tags: AAA, AAA Northeast, car, Connecticut, health, house, john galvin aaa, john galvin aaa northeast, safety, smartphones, sponsored, technology, traffic safety.